In June 2013, I did a pilgrimage to England, Wales, and Scotland. This is an except from a larger blog that covers the Merlin oriented part of the trip. We stopped into Winchester to see the round table on our way west! We arrived in Glastonbury as the sun was setting, which is now 10:30 pm as were so close to the summer solstice! We found a quiet country spot to park the car and made it comfortable for the night. 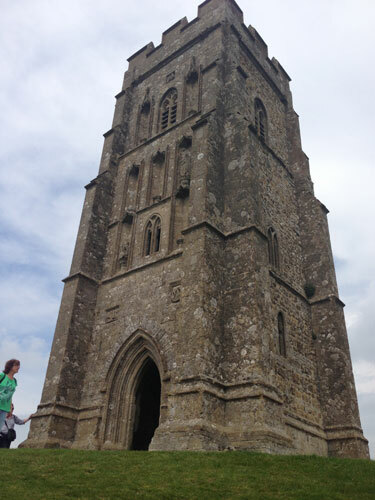 We woke up to a magnificent site of the Glastonbury Tor (hill) and the tower that sits on top. Nothing could have prepared us for this town. It's a new age Mecca. There are at least a dozen new age shops, tons of crystal shops, metaphysical book stores, steam punk and fairy costume stores and health food stores. Plus it was market day so there were many vendors selling wares on the street. Overwhelming is an understatement! After a few hours of browsing the shops and getting high on crystal vibrations I pressed us on to see the sites. It takes about half an hour to walk to the base of the Tor, known in ancient times as the Isle of Avalon because the base of the hill used to be surrounded by water making it an island. On the way we stopped at a man made brick cave containing a natural well spring. It's called the White Spring and its pretty amazing. It's cold and dark, only lit by candle light. There is a giant pool in the middle that spring water flows into. You can submerge yourself into it as its known to have healing powers. I put my feet into because that's all I could stand; the water is ice cold! We stayed in there for a long time, singing, praying, and running Magical Awakening energy into the place and letting the energy of the well connect to the Magical Awakening system. Magical Awakening is an energy healing system that I have been trained in. It's very related to Arthurian Legend and its said to come from the Lineage of Merlin and Lady of the Lake so it's very appropriate for this English pilgrimage. Magical Awakening is definitely going to be one of the themes of this trip as I use to to connect to the energy of sacred sites and also to do what I can to clean/clear/heal/improve the energy of these places. I also use it like a prayer in these places. After we left the White Spring temple we started the long trek to the top of the Tor. Once up there you have a beautiful 360 degree view of Glastonbury. It was beautiful and we sat up there for a while just soaking in the view and having a little picnic with the other people and dogs up there. When we got to the bottom we went to the other spring that the town is known for; the Red Spring or the Blood Spring. The spring has a strong iron content when causes it to stain the rocks red as it passes over them. This spring was outdoors and set in a large and beautiful sanctuary of plants, fountains, trails, and a healing pool. We spent time with our feet in the pool and then took a few sips from the lion head fountain. 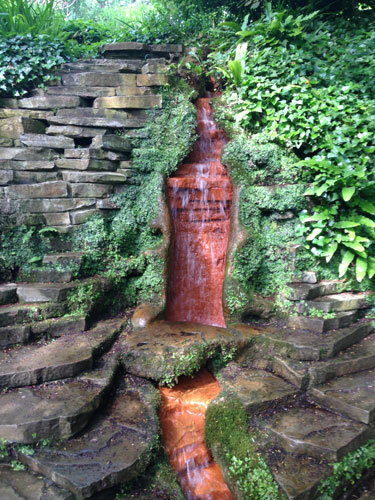 Both the White and Red spring have places to drink from so you can ingest some of the legendary healing power. We drank from both. Neither tastes very good due to the high mineral content but let's hope it imbues me with strength and long life! As we got back into the town center it was about 6:30 and all the shops and market stalls were closed. The Abbey was open though and we spent an hour or so walking around this ancient ruins. The Glastonbury had been one of the biggest Christian centers for almost 1000 years from Celtic times, Saxon times, Roman times until Henry VIII ordered it to be destroyed. He took all the money and treasure and had the last Abbot hung on top of the Tor. Luckily they didn't do a great job of destroying it because much of the huge structure remains. Another interesting story is that hundreds of years later when monks were excavating the ruins they found a grave with a man and a woman engraved with "Here lies the body of King Arthur and Guinevere." There used to be a black stone monument to commemorate the resting place of Arthur but now there is just a sign. After doing another ceremony of Magical Awakening for King Arthur, we decided to camp. We found a camp ground online that wasn't too far or expensive and we went to a Tesco that thankfully was open 24 hours. We bought a tent and tons of groceries and went to the campsite. It's a few weeks till the Glastonbury music fest so Tesco and the campground were in preparation but everything was still quiet. After a chilly night in the tent, we woke fresh and ready to move on. On our way out of town we made one last stop. Pomparles Bridge is said to be the bridge that Arthur threw his sword Excalibur into the water from, returning it to the Lady of the Lake. After more Magical Awakening and a little regret of not buying the "Lady of the Lake" beer I had seen the previous day, we drove off. As we enter our fifth day in the English countryside, let me try to tell you what it feels like to be here. There is a certain quietness and a certain peace that exists here. Between the spacious smooth pieces of land divided up by thousand year old hedges and the tiny roads walled in by dense green plant barriers there is a special sense of magic. When you drive through the towns, everything is just old. You might be on your way somewhere and suddenly there's a castle. A castle! Mixed in with the rest of the buildings. You have no idea why or how it got there. You go to a town and the buildings are so old they aren't even straight anymore. Life is slow and steady and its been going on like that for thousands of years. In that spot! It's continuously amazing to think about. These roads have literally been here for ages. Paved, Bricked, Cobbled, Roman, Dirt, Cars, Carriages, Wagons, Horses, Footpaths. You drive and have to keep remembering that these were the very same roads that knights on horses went down. The same routes that hunter gatherers and early traders cut into the earth by sheer frequency of travel. And people have been using them ever since. When you get out in the countryside, out of the car, and you are just in it, it feels like it could go on forever. Sometimes it's like we're on another planet. Yesterday I was sitting in a 5,000 year old stone circle in the furthest edges of remote Cornwall. I had the amazing realization that I had flown halfway around the world and then driven halfway across a country just to be in this quiet. Quite a feat and a luxury! When you get out here, in Cornwall, the land takes on new forms. It becomes almost mountainous and the familiar English hedges start to disappear in favor of raw untamed wild nature. The villages get smaller and more isolated. And finally you get there. Like a portal. I'm sitting in the stone circle and my friend is dancing around it naked. The wind is so gentle and quiet. There is literally no sound. The ground is soft. I am surrounded by standing stones and burial mounds and sheep. Younger ancient ruins are visible in three directions, ancient towers and dilapidated buildings. The color of the hills is a slightly neon shade of green that I'm not used to and the contrast with the bright blue cloudy sky is just beautiful. There is an energy out there. From the stones. From the history. From the otherworldly setting. It's hard to talk about. I just laid back and closed my eyes and let it envelop me for a while. Everything spiraled around me but it simultaneously felt still and at peace. We could have stayed out there forever. And part of me wanted to. For a moment we were living in some other story. Like a portal. Then, like no big deal, we jumped back through the portal into our normal world. Back into the car. And then on to another sacred ancient place. How weird this life can be?! We left Glastonbury with a lot of driving ahead of us. We visited the southern coast and had a picnic lunch on a hill overlooking the English Channel. Then we took the long way to Cornwall which took us through Dartmoor national park. Most of Dartmoor looks exactly like the rest England but eventually it got steeply hilly and we started to see animal crossing signs. And then the animals! Sheep, goats, horses and pretty ponies suddenly appeared in the landscape and the road. They were grazing everywhere and we had to stop a few times to watch them. So cute! When we descended, we were in Cornwall, the region in the southeastern most tip of the island. Cornwall has a distinctly different vibe than the places we've been so far. Even before talking to anyone I could tell. It has an almost isolated mysteriousness to it. It feels older. The villages are smaller and more spread out. The countryside looks different. It definitely has its own character. Eventually we arrive in the tiniest of villages, Minion. We had no business in this town but we sought a sacred site on its outskirts. The Hurlers, a bronze age group of three stone circles set in the middle of a vividly colored empty plain. There are not really any signs to find the circle. It's another remote secret and it took us a while to find it. The scene was definitely worth the trek. There was no one around and the location was quiet and soft. A few sheep here and there. Hills dotted with other ruins surrounded us. We walked the circles and laid in them and danced around them and did some Magical Awakening. The sun started to get lower and we decided to move on. Reluctantly. Our next stop was only 30 minutes away and proved to be another adventurous journey. After a series of tiny roads we found ourselves at a church on the side of the road in the middle of nowhere. There were two churches actually. One large and old and made of stone. The other was like a one room modern wood thing that was much more utilitarian. And a tiny little sign. St Clerans, 1 mile. We walked around these churches through some chest high tall grass. We went through a "kissing gate" which are so common in England and start our trek through the wilderness. After a miles walk through a very pretty trail we arrived at our destination. St Cleran's Well and Church. 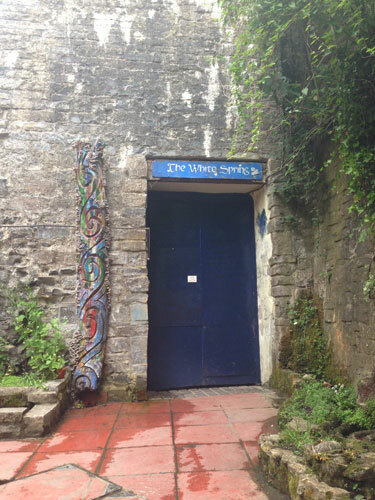 There is a natural spring here and since Celtic times people have been visiting the spot. There is an ancient church there and a well that is said to have healing powers. The elderly and sick use to come here to drink from it. At this point it didn't look very clean so we merely touched it. After the well we drove for 30 more minutes and arrived at our sleeping destination and a city I was very excited to see, Tintagel. We found an overnight parking lot and then treated ourselves to a delicious Indian dinner, the only place still open at 9:30. Tintagel is the legendary birth place of King Arthur. 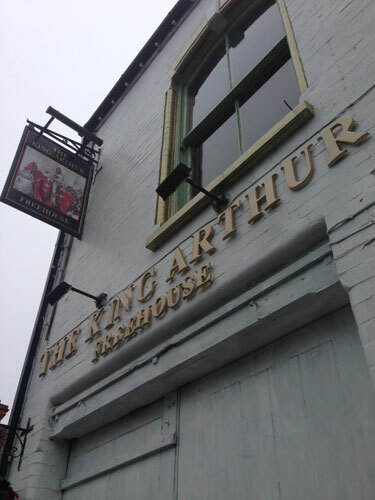 The whole town has taken advantage of this by creating Arthur and Merlin themed stores and bars. Fun! The destination I was mostly seeking was a cave under the cliff of the castle called Merlin's cave. It's only accessible during low tide so we went there first thing in the morning. 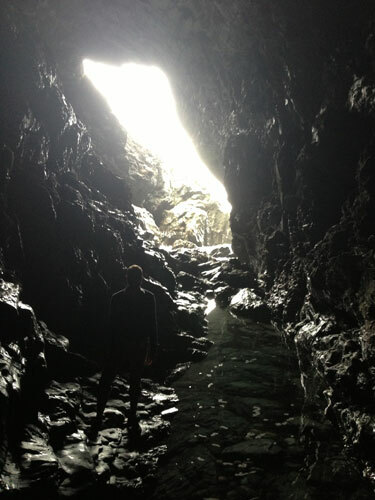 The cave was awesome and we spent a good amount of time in there until the tide started to come up. It's open on two ends so if you trek through it you can see light and water coming in the back. I sat communing and singing and doing Magical Awakening, the healing energy of Merlin himself. It was a great experience that I'll not soon forget. After doing our laundry we had our first Cornish Cream Tea which is the specialty around here. It consists of a pot of tea, two scones, jam, and clotted cream. Pretty tasty! We left Tintagel and went 10 minutes to the next town of Bocastle. There is a Museum of Witchcraft and it was so cool. It's three stories and we spent at least an hour checking out all the interesting stuff. We learned about witchcraft throughout history. There were tons of artifacts and relics and a few modern witches complete collections of tools. From here we went back a few miles and parked. Our next stop was St Nectan's Glen and Waterfall. We parked on the side of the road as it started to rain. We walked at least a mile under umbrellas through mud and stone and eventually got to the top of the hill where the entrance center was. After a quick descent we got to the water. It was incredible. Maybe an 80 ft waterfall that goes down a series of platform and finally comes out of a large whole in the rock. The waterfall is in a beautiful grove that feels very remote and magical. We got in the water. After we left the Glen we started our journey out of Cornwall. We had plans to meet up with a group for the solstice. 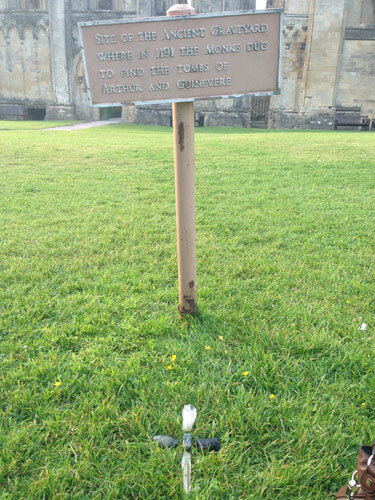 We tried to meet them back in Glastonbury but we missed them. We had drinks instead. 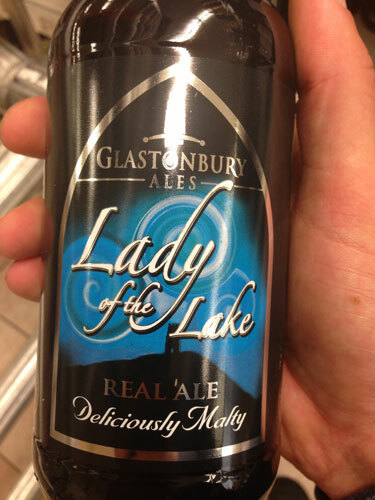 I had a Lady of the Lake beer! Then we continued on to Avebury to camp. We arrived around midnight to a campsite that felt more like a party. Tons of tents, RVs and campers. We had our tent set up by 1am and I fell asleep quickly so I could awake in 3 hours to arise for sunset meditation! On the Solstice I woke up at 4 am. After a few delays and jump starting a van, I headed out with a group of energy healers. We drove through the early morning fog to a small stone circle know as The Sanctuary in Avebury. It's part of a larger group of four sacred spots "the serpent" or "dragon." It's said that every seven years on the solstice the dragon awakes to eat prana energy on behalf of Mother Earth. It send the prana down the earths Kundalini channel. We were going to the "head" of the dragon at sunrise to facilitate and experience this prana consumption. We arrived a few minutes after sunset and situated ourselves around the circle. We sat on yoga mats as the chilly rain drizzled down on us. We closed our eyes and began meditating. The leaders of the group start doing their energy thing. I started to become aware of subtle energies moving through my body. Over the 30 min that we sat there i felt the energy get stronger. It felt like it was coming down into the top of my head and rushing through my body. It felt like I was mirroring the waking dragon and the kundalini channels. I wasn't getting much more information than that. Others got more, some got nothing. I felt it was a worthwhile reason to get out of bed. After getting thoroughly soaked we decided to go back to camp and sleep more and dry off before heading to another stone circle known as the heart of the dragon, the main stone circle of Avebury. I slept and then we packed up camp. We went and got a tasty vegetarian English breakfast along a canal filled with house boats. We saw a white horse in the distance. It's a few hundred years old, in the side of a mountain, made of chalk. The energy healer group was lagging behind us so we decided to go on with our day without them. We headed to a burial chamber and the a large burial mound that towered over us like a mountain. We walked though fields that went up to our waists and got stung by many plants leaving our shins red and burning. We walk and walked and eventually made it to the heart. The Avebury stone circle is so huge you can't see it all at once. It has a village and many roads inside it. 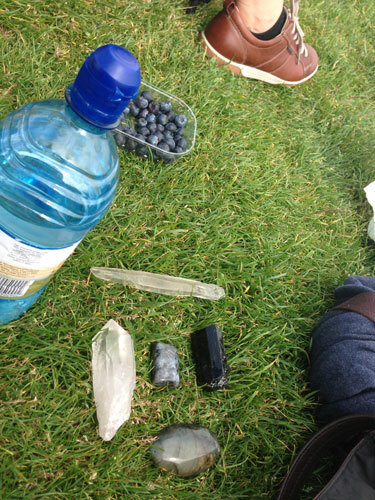 We walked around the henge with a bit of meditation. By this time we had been walking for hours. It was getting to be evening and we still wanted to see Stonehenge. We made our way back to the car and then drove the 15 mile to Stonehenge. We were disappointed to find that it had closed for the day. I had though it would stay open till sunset for the solstice but we still got a great view outside of the fence. The sun was perfect for a great photo. I touched the stones through the fence and ran some Magical Awakening energy. It was a beautiful and stunning sight. Its always amazing to see. We had a day to adventure into Wales before we headed up to Scotland. We were heading toward the capital, Cardiff, still trying to figure out the best city to visit when the answer jumped out of a book at me. I brought a coffee table style book called Sacred Britain with me for moments like this. It has big I color photos and a map of many of Britain's sacred sites and stone circles. I found one that was close to Cardiff and stars reading about it. It's called tinkinswood burial mind and its 6000 years old. The picture made it seem cool but the legend made it seem even better. According to local tales, Druids put a curse on the burial mound. 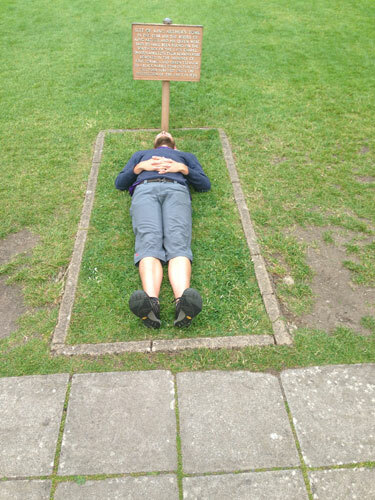 If you sleep on the mound on mid summers ever or St Johns Day you would either go mad, die, or become a poet. I looked at Wikipedia and looked at the calendar and discover that it WAS St. John's Day!! What an amazing synchronicity! We got to Cardiff around 5 pm so everything was starting to close up. We walked around the city enter and saw the castle and some parks. We found a few good groceries and stocked up on food. Then we headed about 10 miles out of town to the burial mound. We got there and the sun was still shining despite the time. We parked the car in a layby and put everything in the trunk so it looked empty. We took our bags and tent and hiked back a ways. The burial mound was next to a farm so we said hi to some sheep on the way. When we get there it was even better than the photos. A big mound with a half circle of forest around it. In the front was a very large stone monument. Like a little stone room with a large roof. The capstone is supposed to weigh as much a 22 double decker buses. An amazing feat to put it op on the 4 foot tall room. We sat up the tent and sat in the muddy monument for a bit, tuning into the energy of the stones and acknowledging the spirits of the ancestors the rested there. We got in the tent and got settled for bed. The whole thing was definitely spooky and we were a bit excited to be there. We fell asleep but we both awoke in the middle or the night needing to pee. I decided to just hold mine until the morning because I didn't want to leave the tent in the dark. My friend had to pee too and insisted that I accompany her. After some convincing, we both got out and it won't scary at all. No ghosts or anything flying around.